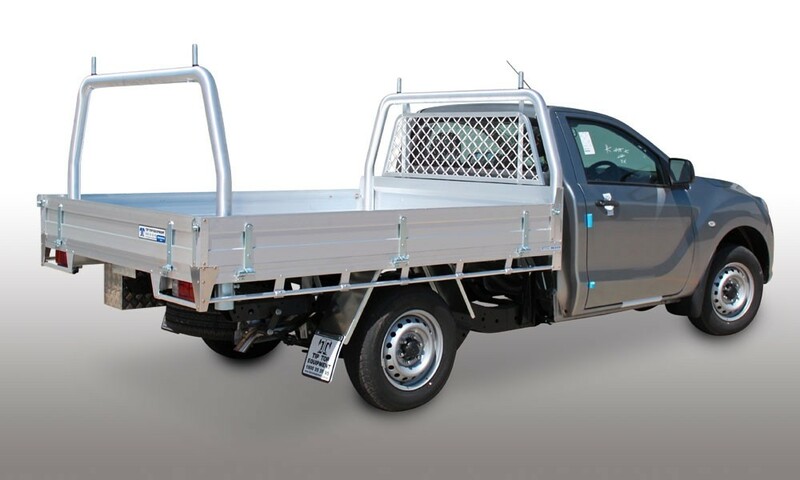 The alloy ute tray that’s as strong, tough and hardworking as any tradie. Everyone loves a tradie and every tradie loves a Tradesman Tray. It’s not surprising that our heavy-duty alloy Tradesman Trays are our biggest seller. We call it the Tradesman because we built it for the tradesman. 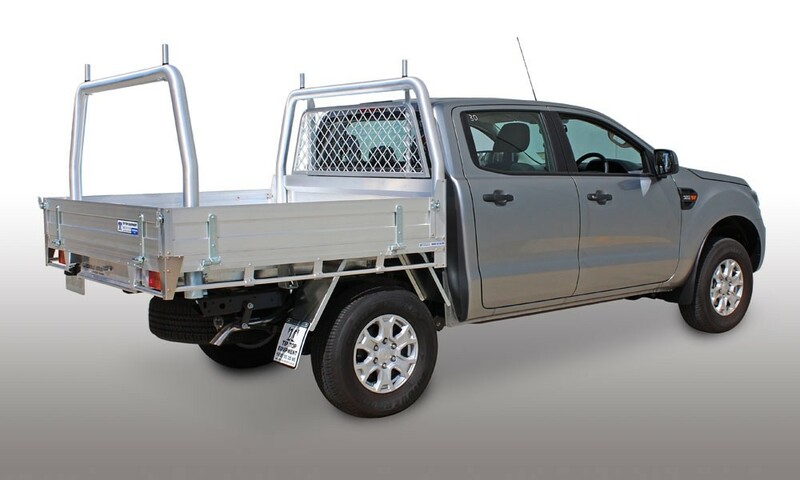 This is your fully qualified, heavy-duty aluminium ute tray. The Tradesman Tray has everything going for it whatever trade or industry you’re in. 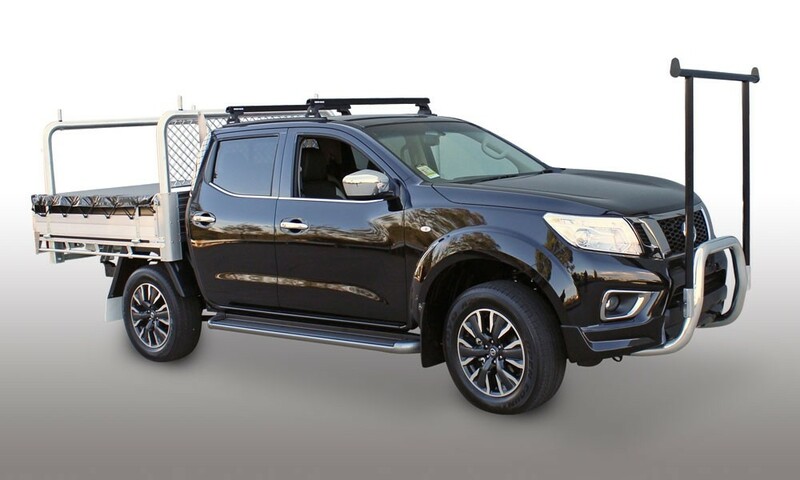 We know tradies are practical people who like things that work, and work as hard as they do. And we know that you’re budget-savvy and don’t want to pay for things you won’t use. So we created the Tradesman Tray to share the load. The Tradesmen Tray is built strong. Designed stylish. And it’s quiet; anti-rattle catches come standard. 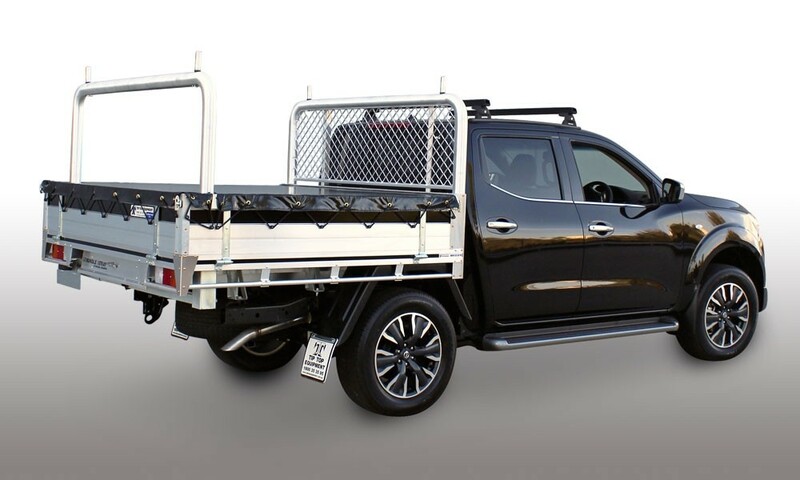 Add a 76mm-thick, alloy, rear ladder-rack option for a heavy-duty carrying capacity. Increase your carrying options with our four removable ladder pin system for versatility. Our Tradesman Tray has become so popular that it’s attracting non-tradies too. 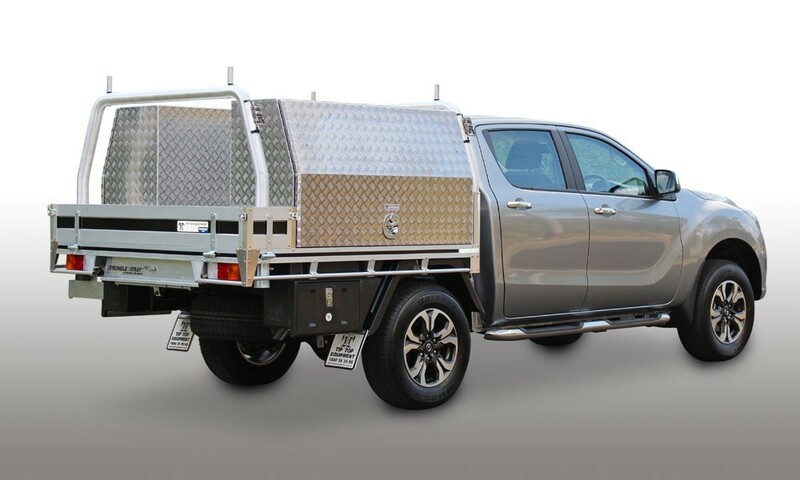 Government, fleet and corporate buyers recognise the great value and regard the Tradesman Tray as the right tray for the right price. 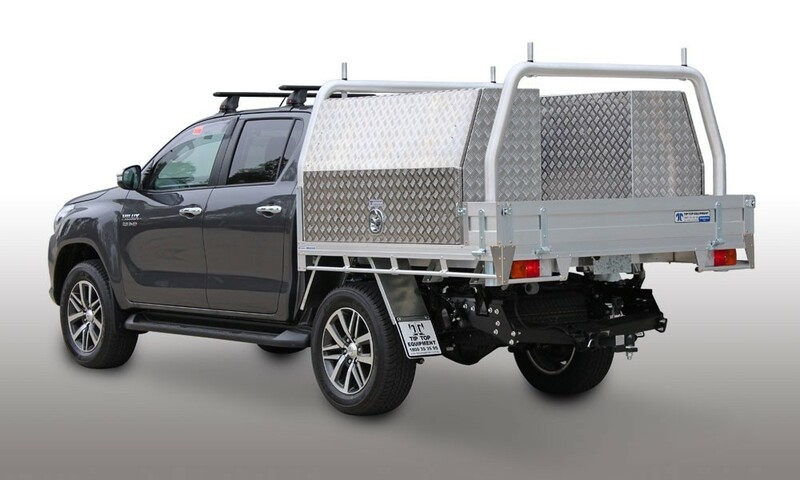 You can add some custom additions too, like our cab roof protector, or choose from our various tray length options, or fit one of our heavy-duty, chassis-mounted rear racks to match your headboard. 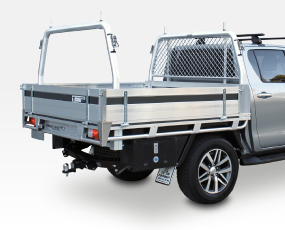 The Tradesman Tray also suits our canvas canopies that come with stabiliser bars and it’s Trundle Tray™- compatible and toolbox-ready. Add rope boxes for extra storage and wash up at the end of the day with our under-body water tanks. Tradesman Trays are ideal for construction, civil, plumbing, electrical, concreting, HVAC and roofing trades. 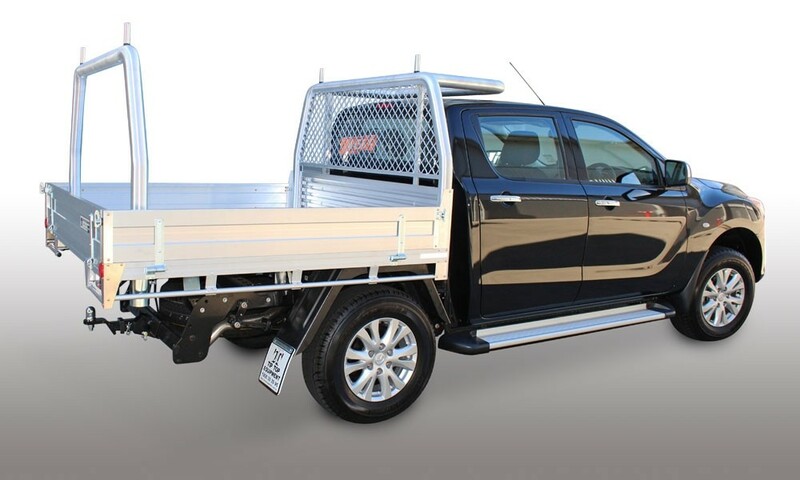 Find your ute model below and click to download a brochure. Secure with 3-point locking that runs on 4 bearings and sealed rollers. Lock is specifically designed for Tip Top Equipment. Life Time Warranty* to the original owner. The extruded alloy face and fitting is offset under the tray to reduce water runoff. Face is angle-cut for great looks. Strong and safe to use. Great for carrying long items. Unique design to Tip Top Equipment. Increase your internal tray space to carry extra-long items. More tray room for larger toolboxes. Carry longer loads safely on your racks. Superior load carrying strength and durability. Go longer to suit longer Trundle Tray™. Don’t be limited with the lengths of ‘Genuine’ tray bodies. 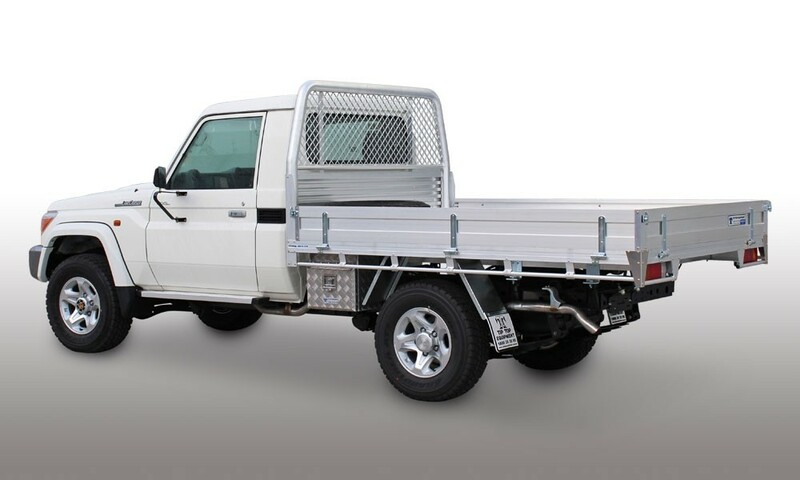 Helps with size restrictions – to fit ute into garage. Increase your cubic area to carry more. Keep your equipment more secure. Tie off your loads without damaging goods. 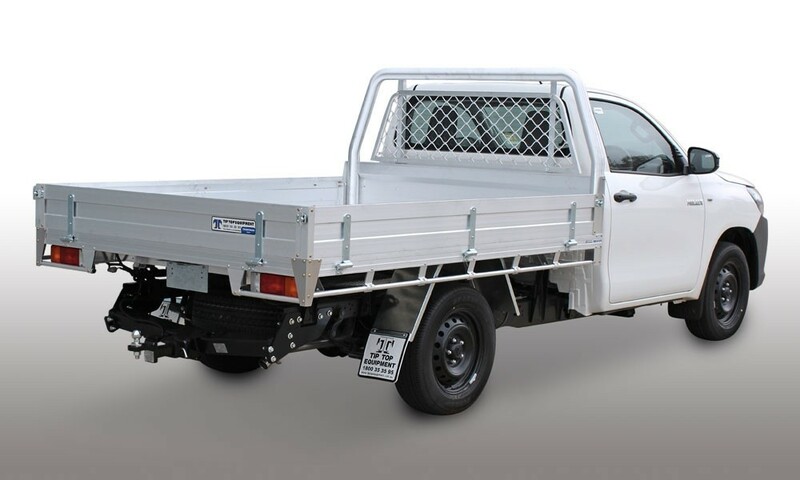 Cover your tray with your tonneau cover or cargo net knowing your load is safe and secure. Heavy-duty for strength, durability and longevity. Comply with unrestrained load laws. Tig-welded for strength and good looks. Provides maximum protection for you and your passengers. 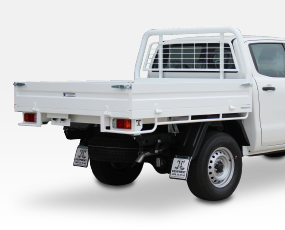 Provides maximum protection for your cab’s rear window. Protects the back of your cabin from your equipment too. Built strong and sturdy with alloy. Stronger capacity than 40mm x 40mm. The bar is easily removed for greater carrying capacity. 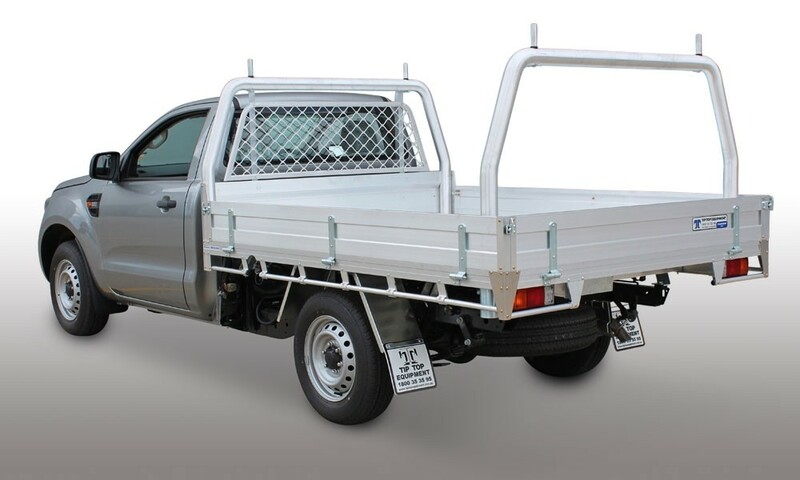 Secure your load with 110mm ladder pins. Pins are easily removed to carry wider loads. Strong pins for securing heavy loads. 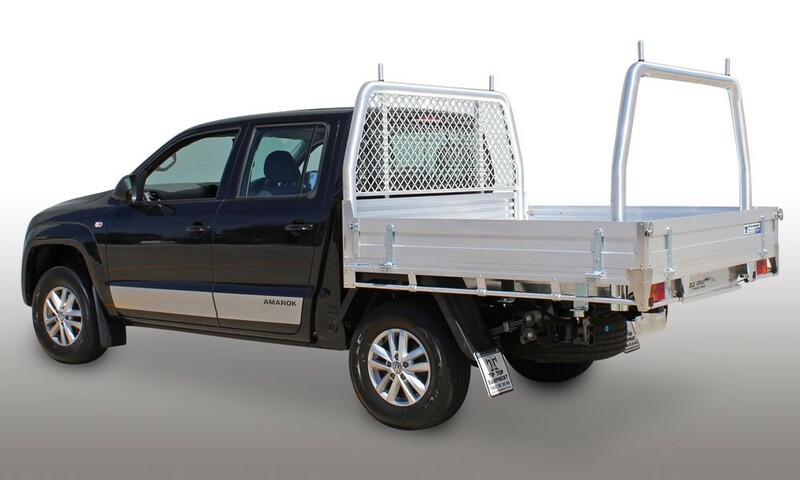 Can be built to suit the height of your existing roof racks to align your load. Pins can be removed for low car parks. Carry wider loads as the pins are mounted further apart. 90° angle to match headboard. 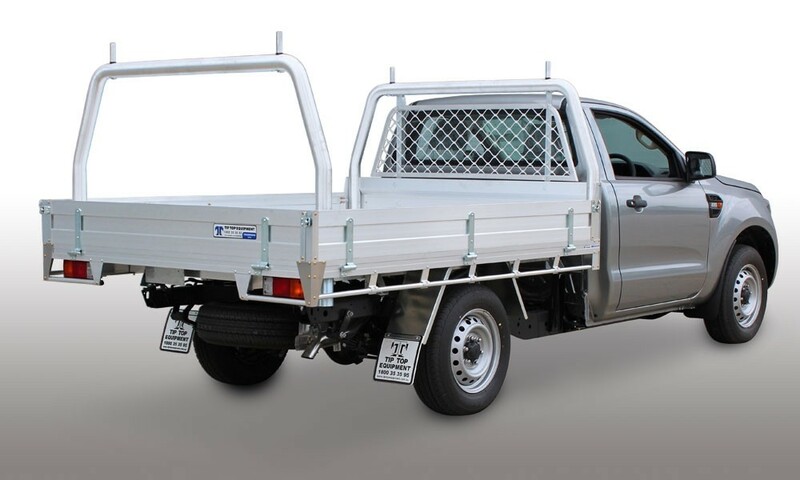 Secure your load with 110mm H ladder pins. Pins are easily removed to carry wider loads. Strong pins for securing heavy loads. Great for flexible and long materials. Protect your cab’s roof from dents and scratches with our strong alloy Cab Roof Protector. Tie down loads easily that run over your cab. Our design reduces wind noise when your vehicle is in motion. Looks great with no ugly gussets. Cover your load, legally and secure all items when your vehicle is on the move. 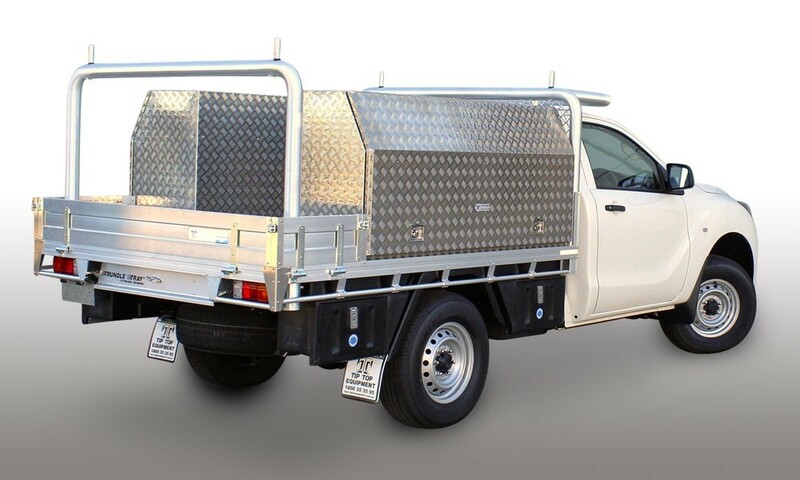 We make our tonneau covers on site to specifically fit your tray. We trim around your rear rack to ensure rear rack usage is not limited. Industry leading hoodbows to stop water pooling. Protect your load from weather and theft with our top quality, long lasting, UV-resistant fabric and thread. It removes easily and the shock cord allows for tall loads. Even increases your fuel economy. Secure your load inside the tray to avoid tying off over your dropsides. Great for low and heavy loads. 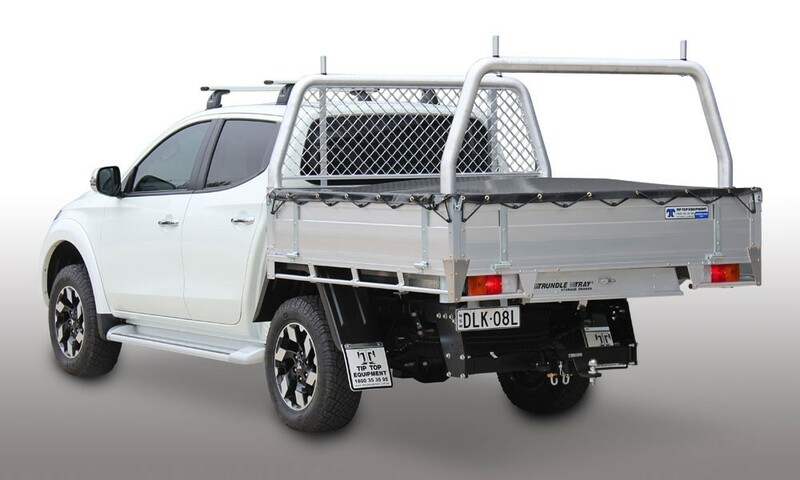 Secure load easily with your tonneau cover or cargo net and keep your load legally. restrained to avoid fines or loss of licence points. Fully encase your rear wheels safely with our sleek design. They’re so durable they won’t dent or fade. The poly guard memory will pop back into shape after hitting rocks or whatever your off-roading throws at them. They’re easy to clean and won’t rust. Our rope boxes and water tanks are built to match. Restrain loads easily with continuous, multiple restraint points along both sides of your tray – 6 per metre. Fit them along your tray’s floor against toolboxes to restrain centre loads. Cut to length to suit your needs. Reduce the need for tying off over your dropsides. 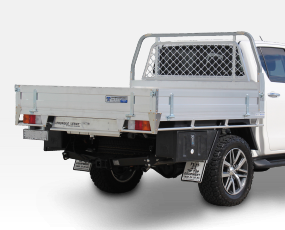 Secure load easily with your tonneau cover or cargo net and keep your load legally restrained to avoid fines or loss of licence points. Clip your ratchet straps easily to the D-ring. Choose from various mounting positions to suit your needs. Carry high-impact loads with our 4mm-thick, high tensile, smooth floor. 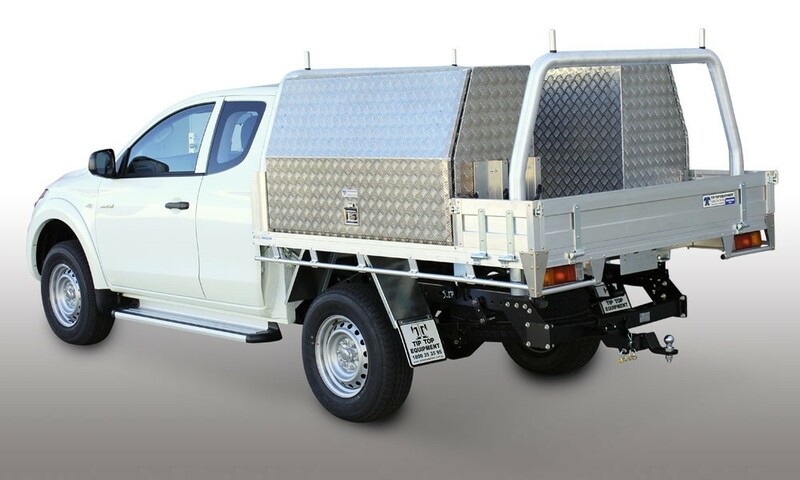 A great choice for tippers with no floor ribs to stop loads sliding when tipping. Ideal for High Point loads. Perfect for slide on campers. Great for shovelling and easy to clean whether sweeping or hosing. Our smooth, angled alloy coaming eliminates the lip on the rear of the tray for easy cleaning. Ideal for tipper trays with no lip to catch loads on when tipping. 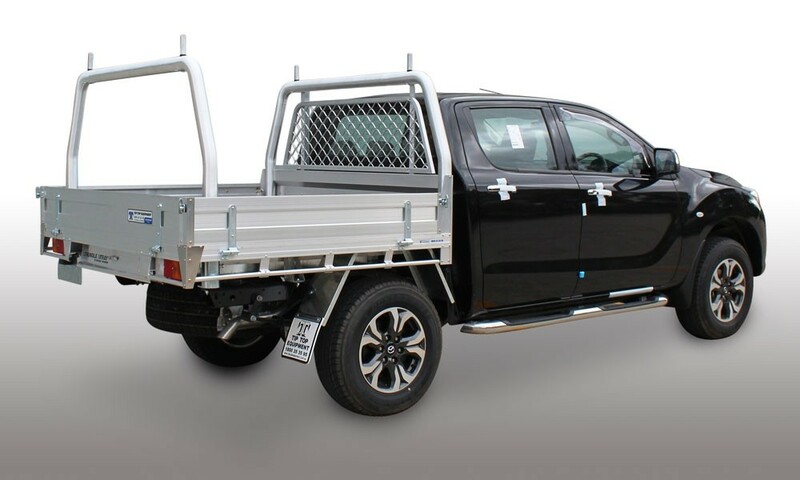 There is no need to engage two different companies as we build the tray and the tipper together, so the tipper unit is specifically designed for the tray body. 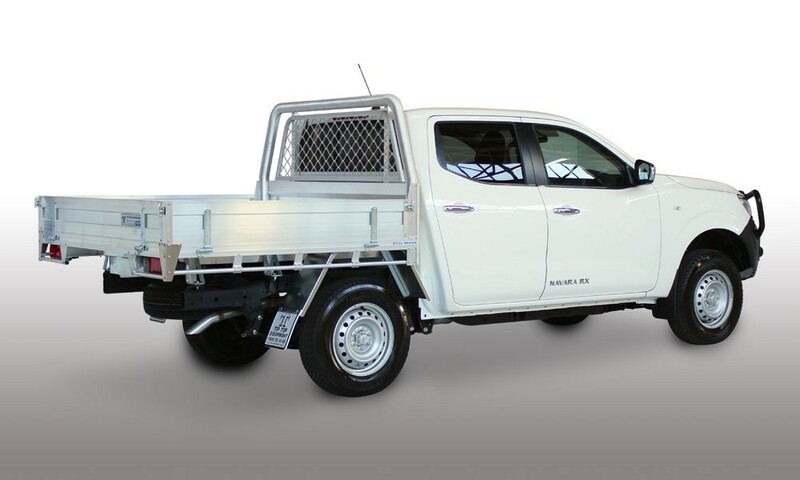 Features a full-chassis sub frame for extra strength. Built as low as possible to the chassis. 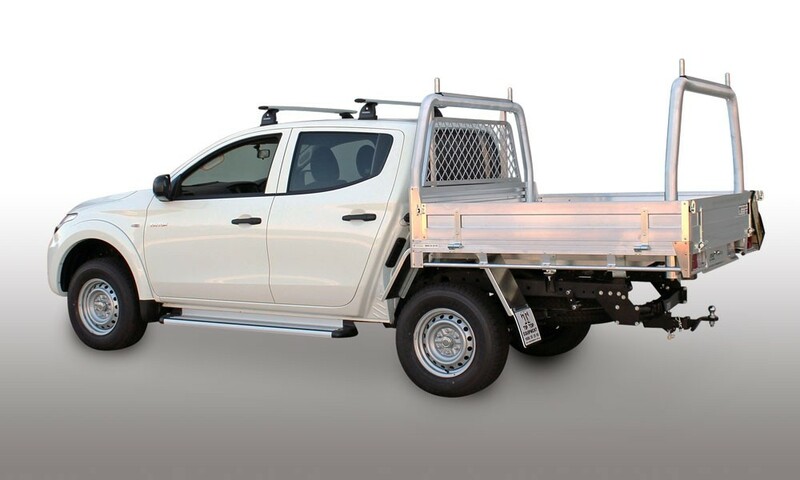 We build the heavy-duty tray with different tailgate swing options, depending on your needs. It’s easy to operate, easy to unload and will save you time so you can do more jobs and make more money. WHAT MAKES TIP TOP THE LEADER?